Devastated. Abandoned. Will they find comfort in each other’s arms? When Mr. Darcy stops for respite at a coaching inn, a warm meal and bed are all that are on his mind. Soon, he recognizes a tavern maid as none other than the woman who captured his heart weeks ago. Reeling from his own hardships, Darcy makes the impulsive decision to chase after her and offer assistance. Elizabeth Bennet is alone and friendless in the world. Necessity drove her from her home and the life of a gentlewoman to working for her room and board. Mr. Darcy’s offer of aid is timely, but can she trust him when she has been hurt by all she calls family? Can she ever learn to love and forgive herself? 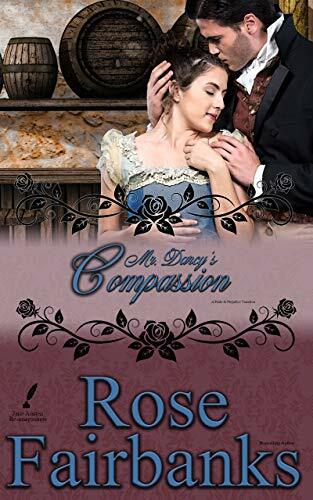 Mr. Darcy’s Compassion is Rose Fairbanks’ latest novel about healing deep-seated wounds, relinquishing faulty beliefs, and making a fresh start. If you love romance that is built upon genuine trust and restores the soul, then buy today! *This story may contain triggers for emotional and/or sexual abuse survivors.